Candidates can check Syllabus For Government And Private Exams. Most of the candidates are exploring for the Latest Syllabus on the internet. To help the candidates we are updating all Competitive Exams Syllabus along with Exam Pattern. The Syllabus plays an important role in preparation time. Without having an exam syllabus it is impossible to all the candidates gets qualifying marks in the written exams. All the Government Exams such as RRB, Bank, IBPS, Police, Defence and much more Syllabus is providing on this page. So every applicant must about the syllabus before participating in any examination. Dear candidates, we are here to provide the syllabus of all Government and Private sector jobs at one place that’s on our official website Sarkari Recruitment. Each and every candidate get some confusion at the time of participation in any entrance exam and other jobs related written test Syllabus. When the candidates apply for any job in Government sector or Private sectors, the organizations will conduct the written test in the process of recruitment, in that time the candidates feel some confusion because they don’t know the syllabus of that examination. Today everyone knows that guys, how much difficult to get the job in Government or Private sectors. If you want to apply any jobs in government sectors like Public Service Commissions, Bank Jobs, Railway jobs, Staff Selection Commission Jobs and some other jobs, these government organizations must take the written test for recruit the well intelligent candidates. So alert everyone guys, don’t bother about the syllabus of any type of examinations, because we provide the Syllabus For All Government And Private Jobs. 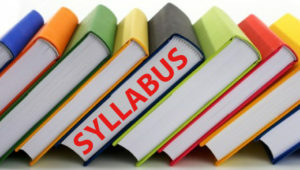 Check for more syllabus, exam patterns, model papers just click on Sarkarirecruitment.com. In the below table we had provided the Syllabus For All Government And Private Jobs. And we hope these details are will helps you to a better future. For more updates keep visiting our website. In the above table, we provide the organization wise syllabus for all in Government and Private sectors. And we hope, the candidates will use these details of syllabus for participate in any examination. If you have any doubt or queries just leave a comment in below comment box. Follow our website for daily Jobs recruitment notifications and walk-ins and others at Sarkari Recruitment.